The prodigy – the precocious "genius" – feels entitled to special treatment. Yet, he rarely gets it. This frustrates him and renders him even more aggressive, driven, and overachieving than he is by nature. As Horney pointed out, the child-prodigy is dehumanised and instrumentalised. His parents love him not for what he really is – but for what they wish and imagine him to be: the fulfilment of their dreams and frustrated wishes. The child becomes the vessel of his parents' discontented lives, a tool, the magic brush with which they can transform their failures into successes, their humiliation into victory, their frustrations into happiness. The child is taught to ignore reality and to occupy the parental fantastic space. Such an unfortunate child feels omnipotent and omniscient, perfect and brilliant, worthy of adoration and entitled to special treatment. The faculties that are honed by constantly brushing against bruising reality – empathy, compassion, a realistic assessment of one's abilities and limitations, realistic expectations of oneself and of others, personal boundaries, team work, social skills, perseverance and goal-orientation, not to mention the ability to postpone gratification and to work hard to achieve it – are all lacking or missing altogether. The child turned adult sees no reason to invest in his skills and education, convinced that his inherent genius should suffice. He feels entitled for merely being, rather than for actually doing (rather as the nobility in days gone by felt entitled not by virtue of its merit but as the inevitable, foreordained outcome of its birth right). In other words, he is not meritocratic – but aristocratic. In short: a narcissist is born. Not all precocious prodigies end up under-accomplished and petulant. Many of them go on to attain great stature in their communities and great standing in their professions. But, even then, the gap between the kind of treatment they believe that they deserve and the one they are getting is unbridgeable. This is because narcissistic prodigies often misjudge the extent and importance of their accomplishments and, as a result, erroneously consider themselves to be indispensable and worthy of special rights, perks, and privileges. When they find out otherwise, they are devastated and furious. Moreover, people are envious of the prodigy. The genius serves as a constant reminder to others of their mediocrity, lack of creativity, and mundane existence. Naturally, they try to "bring him down to their level" and "cut him down to size". The gifted person's haughtiness and high-handedness only exacerbate his strained relationships. In a way, merely by existing, the prodigy inflicts constant and repeated narcissistic injuries on the less endowed and the pedestrian. This creates a vicious cycle. People try to hurt and harm the overweening and arrogant genius and he becomes defensive, aggressive, and aloof. This renders him even more obnoxious than before and others resent him more deeply and more thoroughly. Hurt and wounded, he retreats into fantasies of grandeur and revenge. And the cycle re-commences. Prone to shortcuts and to shallowness, the narcissist always feels like a fraud, even when his accomplishments are commensurate with his grandiose fantasies. Q. How do you define prodigy? A. A prodigy (or Wunderkind in German) is a young, precocious person whose achievements far exceed the accomplishments typical of his peers and age group. Q. There seems to be a lot of attention paid to child prodigies, but what happens when these folks mature? Do many mature into adult leaders in their fields? What are the biggest challenges facing child prodigies as they age? A. Recent studies seem to indicate that prodigies grow up to become narcissistic under-achievers. Q. Why is it that most child prodigies fall into the fields like math, chess or music, rather than a field like literature? A. Fields like literature require maturity and life experience. Prodigies, no matter how gifted, rarely possess the requisite emotional spectrum, an acquaintance with the nuances and subtleties of human relationships, or the accumulated knowledge that comes from first-hand exposure to the ups and downs of reality. In contrast, the manipulation of symbols - in mathematics, music, or chess - does not require anything except the proper neurological "hardware and software" and access to widely available objective knowledge. In a way, prodigies can be compared to computers: both excel in symbol manipulation and fail to impress in other, more fuzzy undertakings. A. When the human foibles, vulnerabilities, and frailties of a celebrity are revealed, the fan feels humiliated, "cheated", hopeless, and "empty". To reassert his self-worth, the fan must establish his or her moral superiority over the erring and "sinful" celebrity. The fan must "teach the celebrity a lesson" and show the celebrity "who's boss". 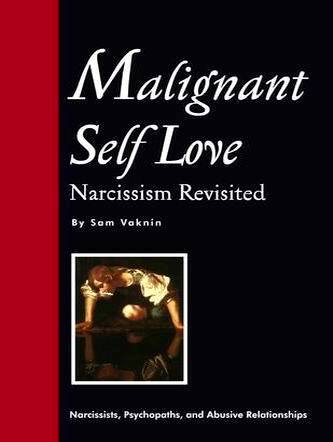 It is a primitive defence mechanism – narcissistic grandiosity. It puts the fan on equal footing with the exposed and "naked" celebrity. A. The reporter "represents" the "bloodthirsty" public. Belittling celebrities or watching their comeuppance is the modern equivalent of the gladiator rink. Gossip used to fulfil the same function and now the mass media broadcast live the slaughtering of fallen gods. There is no question of revenge here – just Schadenfreude, the guilty joy of witnessing your superiors penalised and "cut down to size". A. Israelis like to watch politicians and wealthy businessmen reduced, demeaned, and slighted. In Macedonia, where I live, all famous people, regardless of their vocation, are subject to intense, proactive, and destructive envy. This love-hate relationship with their idols, this ambivalence, is attributed by psychodynamic theories of personal development to the child's emotions towards his parents. Indeed, we transfer and displace many negative emotions we harbour onto celebrities. A. There is an implicit contract between a celebrity and his fans. The celebrity is obliged to "act the part", to fulfil the expectations of his admirers, not to deviate from the roles that they impose and he or she accepts. In return the fans shower the celebrity with adulation. They idolise him or her and make him or her feel omnipotent, immortal, "larger than life", omniscient, superior, and sui generis (unique). Q. What are the fans getting for their trouble? A. Above all, the ability to vicariously share the celebrity's fabulous (and, usually, partly confabulated) existence. The celebrity becomes their "representative" in fantasyland, their extension and proxy, the reification and embodiment of their deepest desires and most secret and guilty dreams. Many celebrities are also role models or father/mother figures. Celebrities are proof that there is more to life than drab and routine. That beautiful – nay, perfect – people do exist and that they do lead charmed lives. There's hope yet – this is the celebrity's message to his fans. The celebrity's inevitable downfall and corruption is the modern-day equivalent of the medieval morality play. This trajectory – from rags to riches and fame and back to rags or worse – proves that order and justice do prevail, that hubris invariably gets punished, and that the celebrity is no better, neither is he superior, to his fans. Q. Why are celebrities narcissists? How is this disorder born? A. No one knows if pathological narcissism is the outcome of inherited traits, the sad result of abusive and traumatising upbringing, or the confluence of both. Often, in the same family, with the same set of parents and an identical emotional environment – some siblings grow to be malignant narcissists, while others are perfectly "normal". Surely, this indicates a genetic predisposition of some people to develop narcissism. It would seem reasonable to assume – though, at this stage, there is not a shred of proof – that the narcissist is born with a propensity to develop narcissistic defences. These are triggered by abuse or trauma during the formative years in infancy or during early adolescence. By "abuse" I am referring to a spectrum of behaviours which objectify the child and treat it as an extension of the caregiver (parent) or as a mere instrument of gratification. Dotting and smothering are as abusive as beating and starving. And abuse can be dished out by peers as well as by parents, or by adult role models. The narcissist then proceeds to harvest reactions to this projected image from family members, friends, co-workers, neighbours, business partners and from colleagues. If these – the adulation, admiration, attention, fear, respect, applause, affirmation – are not forthcoming, the narcissist demands them, or extorts them. Money, compliments, a favourable critique, an appearance in the media, a sexual conquest are all converted into the same currency in the narcissist's mind, into Narcissistic Supply. Responses to David Gross, Aerospace Engineering student at the University of California, San Diego, taking the Warren College Scholars Seminar instructed by Dr. Madeleine Picciotto. DG: It seems that parents, private tutors, and even the geographic location (metropolitan area, upper-middle class, access to museums, libraries, universities, etc.) of the prodigy play an important role in their development, especially initially. Are there any solid examples of prodigies that came from destitute learning environments such as uninterested parents, lack of tutors for financial reasons, or from rural or impoverished cities? If so, what can you attribute to their success? SV: Precocious prodigies seem to be a culture-bound phenomenon. There are far fewer "gifted" children in the collectivist societies of Asia and Africa, for instance. Based as they are on statistical comparisons and ranking, Western IQ tests reflect the values of competition and individualism. Ipso facto, prodigies proliferate in rich, white, developed countries, and not in the poorer ambiences of the Third World, the inner cities, and minority communities. Still, if you study the biographies of hundreds of men and (the far fewer) women who started life as Wunderkinder, you will find that many of them actually hailed from underprivileged backgrounds, replete with indigence, familial dysfunction, racial or other discrimination, and other forms of deprivation. Thus, one would do well to distinguish between two types of prodigies: the pampered, cosseted, tutored, often narcissistic type versus the prodigy whose excellence is the only way of fleeing the miserableness of his or her circumstances. The second type of gifted youngster leverages what endowments he possesses to extricate himself from his destitute surroundings and restore hope to an otherwise bleak existence. DG: Do you think that the current primary public school system in the United States with some of its shortcomings, such as lack of funding and inflexibility in accommodating the special needs of children, is a suitable environment for a prodigy conducive to their development? If the parents of a prodigious child cannot afford private schooling or a tutor, are public universities the only place they can turn to develop the needs of their child? Are there any other alternatives since a young prodigy may not be socially or emotionally capable of handling the university experience? SV: When I was 9 years old, my IQ measured 180 and I was sent to study in the Technion - The Institute of Technology, in Haifa, Israel. I can tell you, from first-hand experience, that child prodigies are, indeed, ill-equipped to cope with such a teleportation. As the Europeans of the previous centuries realized, the optimal solution comprises a stimulating, catalyzing household coupled with a personal, hands-on, intellectually-endowed, curious and empathic tutor. By far the more important factor is the former. Thanks to modern technology, tutors are dispensable. The Internet and television provide a far greater array of options than any pedagogue can. As agents of socialization and mentors, parents still matter, though. It is from them that the gifted child should learn social and moral values; how to transform an ocean of (oft adulterated) information into the pure crystal of structured knowledge; and how to rejoice in his own impulse to learn and to question and to create. The solution, therefore, is not institutional: more classrooms, better facilities and accessories, highly-qualified teachers, etc. It is the family that should be strengthened, overhauled, and improved. The role of the state is to provide caregivers with incentives and tools - including financial rewards and free supplementary education - to better nurture their gifted charges and progeny.